A must for teachers! 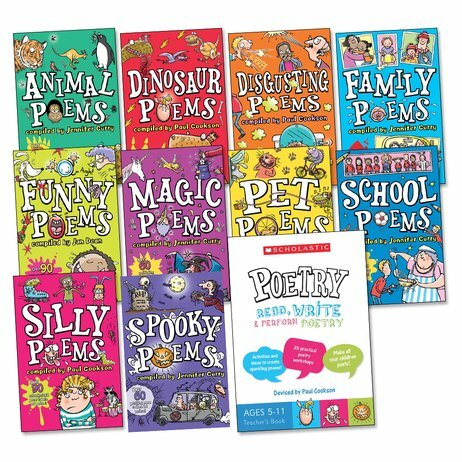 A complete poetry package to bring poetry into your classroom and turn all your pupils into poets. Our revised and updated poetry anthologies each contain more than 60 poems by well-loved children’s writers. This pack combines them with our inspirational teacher’s book, full of activities which meet curriculum objectives while getting children reading and rhyming. This pack contains ten poetry anthologies plus one copy of the teacher resource book.